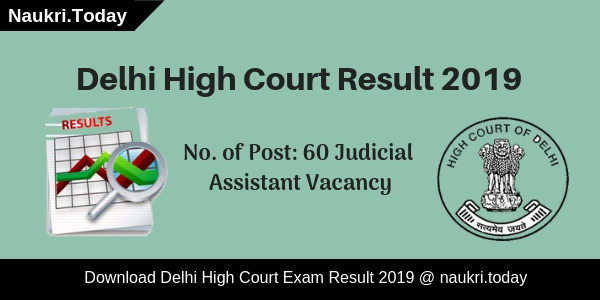 Hello Friends, are you waiting for TN MRB Recruitment 2019? If yes, then here is a great opportunity for you. Tamil Nadu Medical Services Recruitment Board is inviting applications for 2865 Nurses Post. 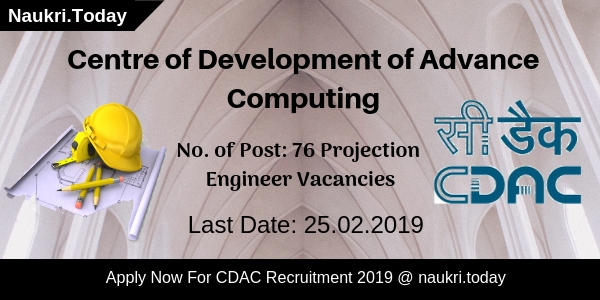 Interested & Eligible candidates can fill online application forms from 06.02.2019. The last date to apply online for TN MRB Nurse Vacancy is 26.02.2019. Applicants who have a degree or diploma in nursing are eligible for Tamil Nadu MRB Jobs 2019. For more details, candidates must read the given article carefully. Fresh Update as on 26.02.2019: Candidates who wish to apply online for TN MRB Vacancy must fill application form without any delay. Participants can check the eligibility criteria & selection process from here. Participants can also download TN MRB Notification from the link given here. What Is the Distribution Of Vacancies (2345 Nurse Post) In TN MRB Vacancy 2019? How to Apply Online for TN MRB Assistant Medical Officer Recruitment 2018 ? Education Qualifications For TN MRB Nurse Jobs 2019 Degree & Diploma in Nursing from Govt. Recognized Institution. Selection Process For TN MRB Nurse Recruitment 2019 on the basis of Written Examination. Monthly remuneration For TN MRB Vacancy Selected candidates will get Rs.14000/- per month & Rs.500/- increment annually. No, Registration fee once paid will not be refunded by the department. So, if candidates are sure for TN MRB Nurse Jobs then only they should fill application form & make payment of application fee. Firstly, candidate should log on to the official website i.e. mrb.tn.gov.in. Then search for TN MRB Jobs Notification 2019. Click on the Notification link & read it carefully. After that, eligible & interested applicants can click on “Apply Online” link. Then fill all the details in Tamil Nadu MRB Vacancy Application Form. Recheck all details in TN MRB Recruitment form. Participants can also take print out of TN MRB Application Form. Conclusion: Tamil Nadu Medical Services Recruitment Board has issued a notification for 2865 Nurse Vacancies. Interested participants can fill online application forms for TN MRB Recruitment 2019. 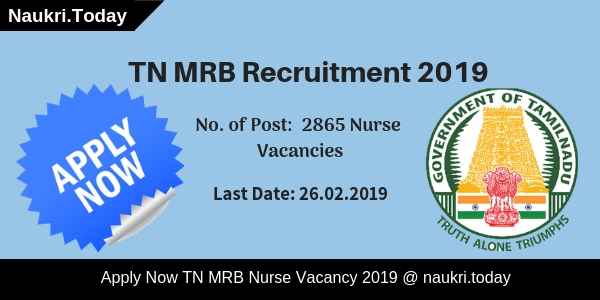 Candidates may apply online for TN MRB Nurse Vacancy before or on 26.02.2019. Department will organize TN MRB Exam for 520 post on 09.06.2019. Written examination for 2345 Nurse post will be held on 23.06.2019. Dear Applicants, if you are interested and eligible for Medical jobs in Tamil Nadu State then you visit a right Place. Medical Services Recruitment Board, Tamil Nadu has recently issued advertisement for recruitment of 1884 Assistant Surgeon Vacancy. Those candidates are interested and fulfill eligibility criteria also may apply through online mode for TN MRB Recruitment 2018. Applicants may apply online from 25.09.2018. The closing date of submission MRB TN Assistant Surgeon Jobs is 15.10.2018. Rest Information of MRB TN Vacancy such as eligibility criteria, application fees, selection procedure mention below. Tamil Nadu Medical Recruitment Board is inviting online application form for recruitment of 1884 Assistant Surgeon vacancy. This is a great opportunity for candidates those are searching MRB TN Vacancy 2018. The online application form is available here or official site also. We mention in below paragraphs how to apply online for TN MRB Assistant Surgeon Recruitment 2018? Furthermore, also you can collect from the below paragraphs. Aspirants who want to apply for Tamil Nadu MRB Vacancy 2018 must fulfill eligibility criteria also. It includes education qualification, age limit, and other information. Before going to fill TN MRB Recruitment 2018 application form applicants must check given below eligibility conditions. Participants must have MBBS Degree awarded by University or Institution recognized by the UGC. The courses must be approved by the Medical Council of India. For more details check MRB TN Recruitment 2018 notification, which is given below. Applicants selection will be made on the basis of written examination. First, the department will organize a written exam for TN MRB Recruitment 2018. There are 200 objective multiple choice questions which contain 100 maximum marks. Duration of examination will be 02 hours and 30 minutes. Applicant those are belonging to SC/SCA/ST category must get 30 marks. While others will get 35 marks to select for TN MRB Assistant Surgeon Job 2018. The examination will be held in Chennai only. Candidates will reach exam center at their own expenses. TA/DA will not pay. Furthermore, information checks TN MRB Assistant Surgeon Recruitment Notification. TN MRB Vacancy fees will paid through online or offline mode. Those candidates are selected for MRB TN Recruitment 2018 will also receive an attractive salary. They will get their salary as per level 22. Pay Scale for TN MRB Jobs 2018 is Rs. 56100/- to Rs. 177500/-. Interested and eligible candidates may apply through online mode only. Before applying for MRB TN Jobs 2018 applicants must have valid email id and mobile no. Candidates also have scan copy of photograph and signature. Here we mention, some instructions to apply online for TN MRB Vacancy 2018. Firstly, candidates go to official site mrb.tn.gov.in. Download MRB TN Assistant Surgeon Job Notification. Click on the link Apply Online for Tamil Nadu MRB Vacancy 2018. Enter your personal information to get unique id and password. Fill other remaining information on your TN MRB Recruitment 2018 Application Form. Recheck TN MRB Assistant Surgeon vacancy Application form. Submit it and take hard copy of it for future reference. Conclusion: Tamil Nadu Medical Recruitment Board has released notification for 1884 Assistant Surgeon vacancy. Applicants can fill TN MRB Recruitment 2018 Application form from 25.09.2018 to 15.10.2018. Good News for the applicant who are waiting for TN MRB Recruitment 2018. Tamil Nadu Medical Service Recruitment Board (MRB) will be conducting MRB AMO Recruitment 2018. The notification is available for 73 posts of Assistant Medical Officer (AMO) & Lecturer (Grade III) Jobs. Interested participants may apply online from 1704.2018. Last date for submission of fully filled application form is 07.05.2018. Applicants may download MRB TN AMO Advt Pdf, Eligibility Criteria, Application Fees etc. details from here. The candidates who are applying for TN MRB AMO Recruitment 2018 should hold eligibility criteria as specified below. The criteria comprise of Qualification, Age Limit, Application Fees and other details. It is necessary to fulfil the eligibility criteria otherwise the online form for TN MRB Vacancy 2018 will get rejected. The candidates who are applying for TN MRB AMO Jobs 2018 must hold Degree or Diploma in the Naturopathy with not less than 04 year. Simultaneously his/her name must be registered with the Tamil Nadu Board of Indian Medicine, Chennai. Furthermore details are available in the TN MRB AMO Vacancy Notification 2018. The candidates who are applying for TN MRB AMO Recruitment 2018 should not exceed maximum age limit of 35 Years. The applicants who belongs to the Ex-Serviceman Category must not exceed 48 year old. Participants who belongs to the SC, SC, ST, MBC&DC, BC, BCMs must not cross 57 year age limit. The candidates who are interested and Eligible for TN MRB AMO & Lecture Grade II jobs can fill up the application forms. For General candidates the application Fees is Rs 750/- and for SC/ST candidates is Rs 375/- . Online Registration is going to start from 17.04.2018. For more details about the TN MRB AMO Vacancy candidates can the official notification pdf. The candidates are going to select on basis of Written Examination. The candidates who qualify the written exam will be called for Interview. For more information candidates can check the TN MRB Recruitment Notification 2018. The candidates who got select in the TN MRB AMO/Lecture Grade II Recruitment 2018 will get the salary of RS 56100/- to Rs 177509/- (Level 22). For more details candidates can check the TN MRB AMO Recruitment Notification 2018. The candidates who are interested for TN MRB Recruitment 2018 can fill the application forms. Few steps are required to fill the Online Application Form. Conclusion: Tamil Naidu MRB Jobs 2018 has released the 73 Assistant Medical Officer (Yoga & Naturopathy) posts has released. Online Registration is going to start from 17.04.2018 to 07.05.2018. For more details related to TN MRB Recruitment 2018 candidates can visit the official notification 2018. Tamil Nadu Medical Services Recruitment Board has recently announced employment notification for 229 Pharmacist Jobs. Applicant who interested in TN MRB Recruitment may apply through online mode. Applicants should fill their registration form from here. MRB TN Jobs Online Application Form is available from 13.02.2018. Interested and eligible candidates fill the application form before or on 05.03.2018. Further details of TN MRB Vacancy, you should require to read given below section. TN MRB Notification 2018 has released for 229 Pharmacist in various department. This is a good opportunity for candidates who want to make career in medical line. Registration Form is already available for Tamil Nadu MRB Recruitment on official site from 13.02.2018. Applicants who are going to apply for TN MRB Pharmacist Vacancy must read given below section carefully. Here we are providing details like eligibility criteria, application fees, selection process, important dates, how to apply and others. So all of you advise must read given below information of TN MRB Recruitment carefully. Applicants who are willing to apply for Tamil Nadu MRB Pharmacist Vacancies should ensure that they are eligible or not. Candidates must check their education qualification, age limit and other eligibility details. More information you should check TN MRB Notification 2018, available on below section. The minimum age is require for all category candidate 18 Years. The age for OC category candidates should not more than 40 years. Upper age limit for TN MRB Jobs SC/ST/SCA/BC/BCM/MBC& DNC category should not more than 57 years. Furthermore you should read MRB TN Recruitment Notification. Selection will be made for TN MRB Jobs on the basis of marks scored by the candidates in their Academic and technical qualification. Criteria of selection is issued by the Government of Tamil Nadu. There will be no interview for TN MRB Pharmacist Jobs. Details of weightage of marks is given below. After selection of the candidates they will get a monthly salary. Selected candidates for MRB TN Pharmacist Recruitment will get Rs. 9300/- to Rs. 34800/- with Grade Pay Rs. 4200/-. Applicants who are belonging to SC/SCA/ST/DAP (PH) category have to pay Rs. 250/-. Others candidates are need to pay Rs. 500/- as an application fees of MRB TN Recruitment 2018. Fees will get pay through online or offline mode. Check TN MRB Notification for furthermore. Interested and eligible candidates may apply through online mode for TN MRB Recruitment. If you can’t understand how to fill up the online form, then you can follow some given below instructions. Read all notification carefully and then go to again the site. Click on Online Registration for MRB TN Jobs. Select your subject and then online form will open on your screen. Go to Click here for new registration. Select the post, which you want to apply and then enter your personal details. Submit you one time registration for TN MRB Recruitment. After that you get a unique registration id. Again go to the site and login with registration id and dob. Enter other required details like educational. Payment of TN MRB Vacancy Application Fees through online or offline mode. Submit you form carefully and take hard copy for future uses. You can also apply for Tamil Nadu MRB Vacancy through direct link, mention below section. Conclusion : TN MRB Recruitment 2018 for 229 Pharmacist (Siddha, Ayurveda, Homeopathy, Unani) vacancies. Online Registration of MRB TN has already available on official site from 13.02.2018. You can submit your application form before on 05.03.2018. If you found any difficulty please click to given above link of TN MRB Notification 2018.